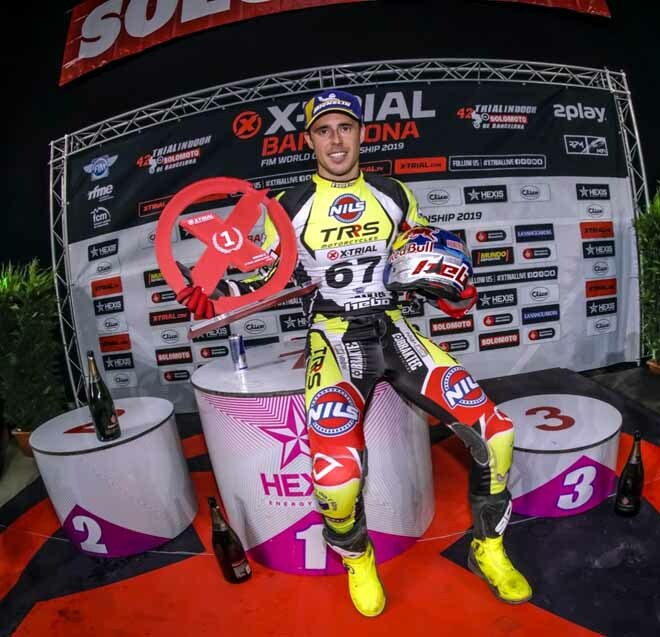 Seventeen years after the day of his first X-Trial victory in the same city, Adam Raga (TRRS) returned to win his sixth X-Trial Barcelona and his first in a decade. A familiar pair fought for victory in the Final, with the top two from Budapest qualifying through once again. 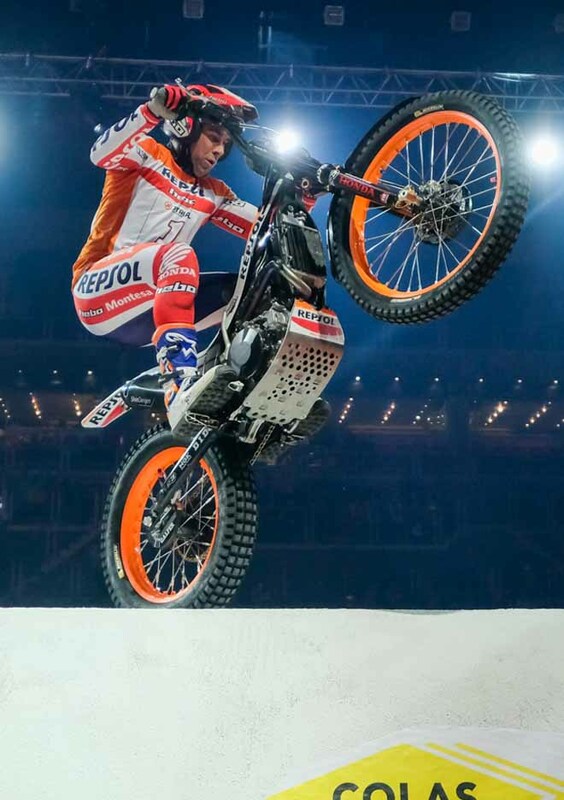 Just as in the Hungarian capital, the X-Trial went down to the final ride, but this time reigning title-holder Toni Bou (Repsol Montesa Honda) just narrowly missed out. 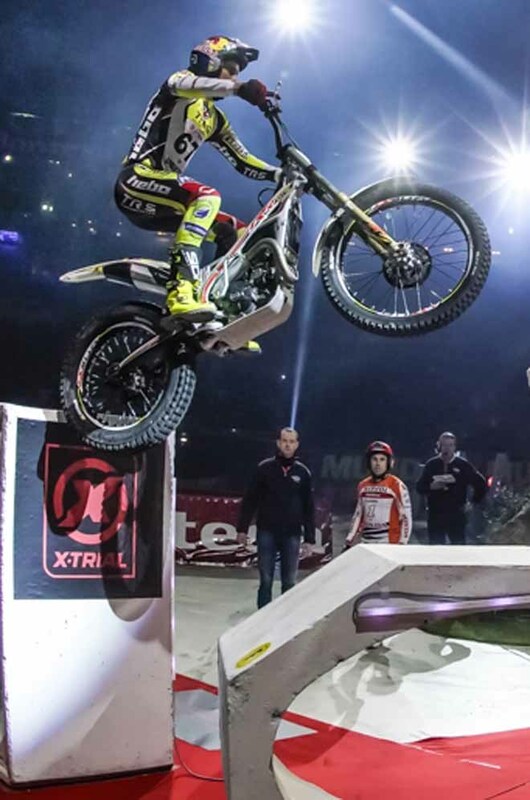 Bou admittedly started the Final under the roof of the Palau Sant Jordi with some physical concerns after a heavy fall in section four of Round Two that necessitating medical intervention to his back. And although the home hero showed Champion spirit to keep his chances alive into the last section, Raga maintained enough of an early three-mark advantage to take victory. 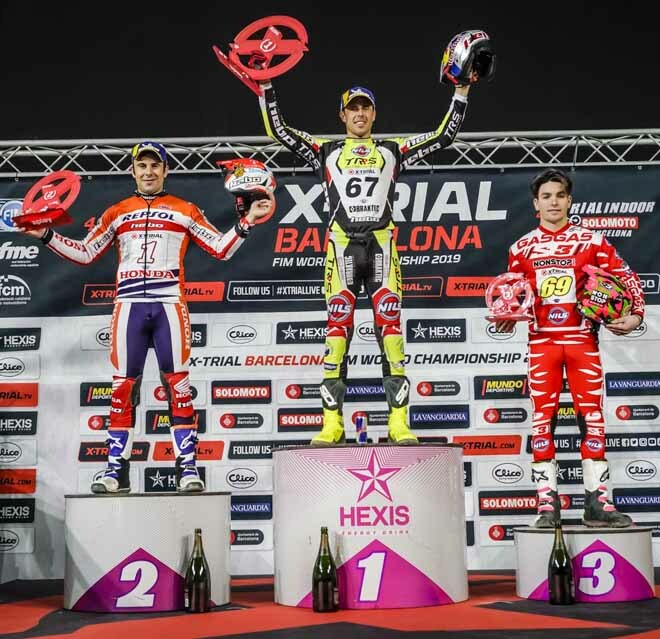 The Consolation Final also saw the same line-up in Barcelona as in Budapest, Gas Gas teammates Jaime Busto and Jeroni Fajardo again tussling over third position. But this time it was Jaime Busto who came out on top, albeit by just a single mark, after impressing with a clean in Section Two where Jeroni Fajardo had dropped two. Benoit Bincaz (Beta) and Miquel Gelabert (Sherco) were the two riders eliminated in Round Two. French youngster Bincaz was unfortunate to miss out on a place in the Consolation Final by just a single mark at the hands of Jaime Busto in Heat One. Meanwhile in the second Heat Gelabert was never at the races after a fall in Section Two that tweaked his existing foot injury; after that a series of fiascos ended his night. 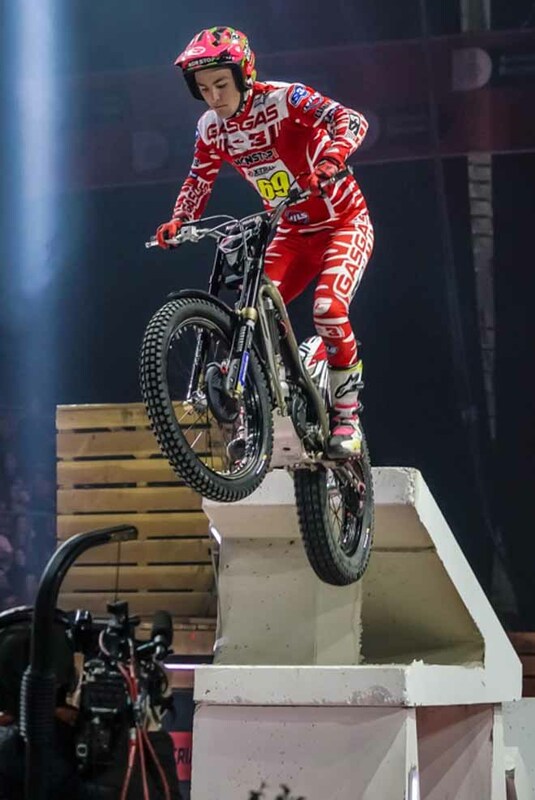 Takahisa Fujinami (Repsol Montesa Honda), Jorge Casales (Vertigo) and Luca Petrella (Beta) were all eliminated in the opening Round. Casales missed out on a place in the second stage after successfully progressing in Budapest, while there was little consolation for Fujinami in beating the Spaniard to seventh position. Italian youngster Petrella continues his development in the discipline after making his first appearance of the campaign. Just under 10,000 spectators were estimated to have attended X-Trial Barcelona in 2019. The X-Trial FIM World Championship now continues its Spanish tour with the third round of the campaign in Bilbao on 16th February. Pronta replica di Raga nella seconda prova a Barcellona. Bou battuto di un punto!